This outstanding duo formed by the coastal Torre del Mar and the interior Vélez-Málaga, is known as “Torre” and “Velez”, and I have enjoyed it much of my life. As a child, with my parents while on vacation, as teenager with my old friends, and now I enjoy it as parent. In all those times the travel experience was exceptional, and for that reason Torre del Mar is where I spend all summers in my apartment. 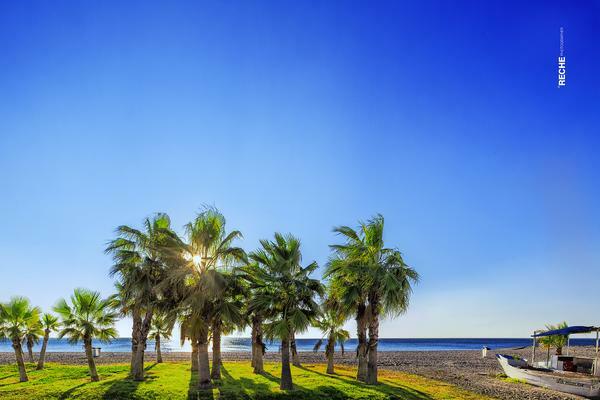 Torre del Mar is not just a place with beaches, it is much more than that. It is the perfect base to explore the Axarquía, and to enjoy the sea in all possible ways. Velez-Malaga is a modern city with history and cultural life. The accommodation possibilities are huge. Besides traditional 3 and 4 stars hotels, Torre del Mar has a vast number of holiday apartments. With urbanizations of all kinds, near the sea and more far inland, with sports facilities and swimming pools. Whatever the kind of apartment you are looking for, it is absolutely certain that you will find it. One of the great strengths of Torre del Mar is the wide range of camping possibilities. They are of good quality and are very well mantained with all range of possibilities: just camping, bring your caravan or rent a bungalow. By the way, restaurants campsites are very good. The meat is spectacular and the Mexican next to the hotel is one of the best Aztec food I’ve ever seen. Even if you do not listen to Manolo the bartender when he says “it is not spicy at all”. That means it is. And if he says it is spicy, then … unless you have a special resistance, you’d better forget it. It’s a shame we do not have more pages in the magazine, because Torre del Mar and Velez go far in the culinary field. Anyone who thinks that the only thing you can eat is fried fish, is very wrong. It is absolutely true that having a fish market in the town and many fishing boats, fish is great and of quality and freshness beyond doubt, but this is not all about the culinary universe in the area. But let’s start with the fish and some tips. First, all visitors to Torre del Mar have often heard of “The Cave”, which is the most famous fish restaurant in the village. If we want to eat there, go on time and / or book a table. Otherwise, it may be long before we can eat. If we are already sitting on “The Cave” or another of the many good fish restaurants in the area, an important tip is to order “half portions”, because it is cheaper and we can try different types of fish. As for the skewers, it is best to check the prices and ask how many sardines are carried on every steak. Aalthough the sardines are typical, not all fish restaurants serve it, so if we want to try, ask first if they have it. Apart from fish, fried or grilled, the cuisine is very wide. 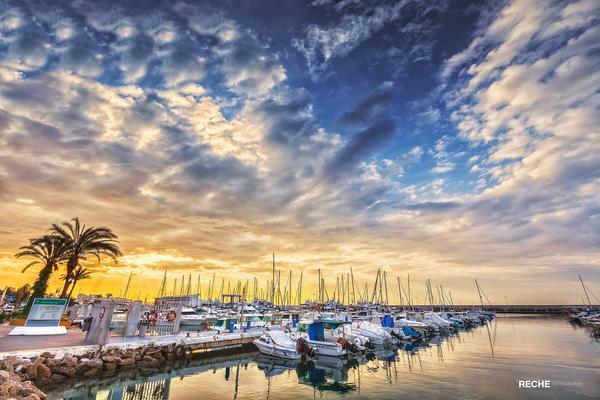 Whether new young chefs or restaurants adapted to the tastes of a growing community of European center have discovered paradise Torre del Mar is to live. All this makes that whatever our taste is when eating, we can find a place that suits us. This section is really difficult to write. Because there is so much that can be done, I do not know where to start. If we want sport, you can find everything here. In the beaches, in sports centers, bike lanes and mountain trails. in the beaches of Torre del Mar you can find soccer fields, handball, volleyball nets… there is even a place with equipment for gymnastics, next to the Club Náutico, where you can take classes for all kind of ways to get around at sea. The municipality has spent years doing something called “Summertime”, in which monitors develop different sports games and competitions, or just recreational activities such as gymnastics or dance lessons on the beach. If we talk about the beach, you can not miss the large children’s complex stretching over 1,000 square meters, the largest of veleño municipality, which lies on the sand of the beach. Another of the highlights of this park is that it includes a total of 30 elements, and therefore, can accommodate 120 children playing at once. Without leaving the beach, you will find the largest park of street workout in Europe (and probably the world) which include Pole Dance bar -which integrates the girls in this sport primarily masculine, European parallel bars, parallel triples, a versatile central structure (comprising 8 dominated bars, a bridge and a Swedish ladder) or a square Monkey Bar. If you like music, don’t miss the Weekend Beach Festival, which is a macro concert with camping that take place three days (from 6 to July 9) on the beach. It is perfectly organized, and this is told by someone with an apartment right in front (roughly 50 meters), and there is almost no discomfort, because they have their own parking area, security, etc. And with a cast of performances aimed to people of all ages, so we can go with the family, and while our children listen to what they call music, we can hear real music. As a starting point for visiting interesting things around, we can do many things. 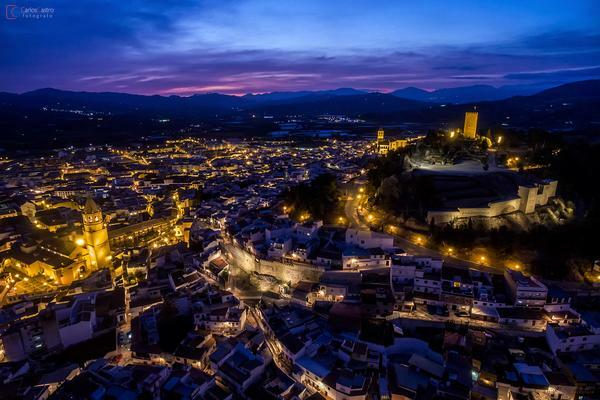 From visiting Malaga (fifth largest city in Spain), to get into the inner Axarquía and see villages of traditional cuisine and exquisite sweet wines or even mountainous routes as the rising to the Maroma, that big mountain you see when you reach the area. Torre del Mar is a perfect place to arrive, leave the car and walk all over place. But if you don’t like walking that much, next to the church there is an underground parking in the center. Although you will find enough free parking in winter so no need to use it. My grandmother alwais said that the sardines can only be eaten in months that do not hold the letter “R”. Although I generally agree with the “wisdom” September is a month with “R” in which some espetitos with beer at sunset on Torre del Mar is just amaizing. To spend an afternoon of movie and Shopping, between Torre and Velez you can find the shopping center “El Ingenio”. Cinemas, well-known fashion shops, hypermarket, some original shops, fast-food… just what you can expect in a shopping center, perfect for those evenings when we do not fancy more sun. INTERNATIONAL FESTIVAL AIR SHOW TORRE DEL MAR (29th to 31th July): It is a festival with a huge international impact, where the best riders come from different countries. It is the largest event in Spain. Confirmed attendance of the most advanced European jet fighter, and also Euro Fighter Eagle Patrol and PAPEA (Parachute Acrobatic Patrol Air Force). A famous couplet of verdiales reads as follows: “In the Malaga coast, there are three main things: the vines and trellises, the grace of veleñas and verdiales dance”. And it is true that the virtues of Velez-Malaga are so many that deserve to be remembered in popular knowledge, because they have managed to maintain the original spirit that inspires immortal couplets, but without giving up the modernization of its infrastructure. 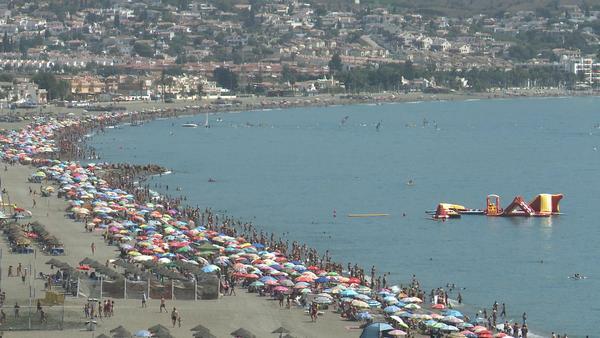 Velez-Malaga is today an affectionate, attentive to new demands in the economy booming city, not forgetting the usual. Thus, the city is one of the major production areas of subtropical fruit, which highlights the harvest avocado and mango, and subtropical fruit exports to over 30 countries around the world. Of course, tourism receives special care, and for that, nothing better that rely on the excellent beaches that bathe the coast, where we can still find the fishing atmosphere that has always characterized this area. 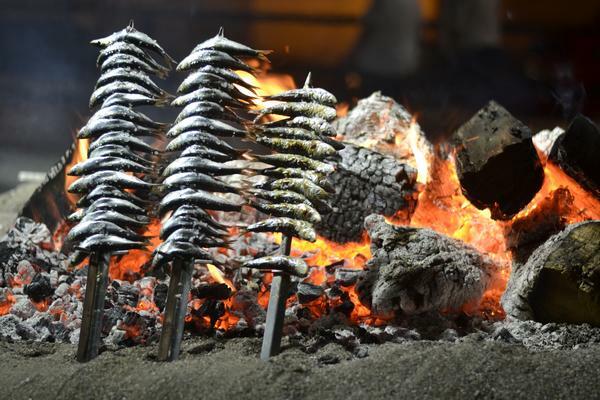 Enjoying a day in the sun, surrounded by the “chiringuitos” around is one of the greatest pleasures, especially if we taste the famous sardine in the Malaga coast. An exceptional climate make our stay more than pleasant. It is this climate that, in addition to allowing a deserved rest on the beach, encourages us to practice the most diverse activities on offer for the whole family. Surely we find some that suit our tastes and needs. Sendea is a private non-profit organization composed of people who love hiking and mountain, organized programs of activities in nature. environmental workshops, itineraries and entertainment activities are some of their proposals. Karting, golf, dramatized tours, Segway tours and other adventure activities complete a very lively offer. The culture is also very present in Velez-Malaga, and then we realize that the city shows a very interesting legacy. As often it happens in the geography of our country, architectural and artistic Christian nature heritages have buried the Muslim defeat, but still we can see wonders like the Arab fortress and its walls, as well as the layout of its winding streets, that unequivocally reveal their Muslim origin. Christian heritage, as we said before, is abundant and many of them were built on ancient mosques: Church of St. Mary of the Incarnation, San Juan Bautista, Las Claras, Carmelite convent, Convento de San Francisco or the various chapels and shrines, among which highlights the Cerro San Cristobal shrine of Our Lady of Remedios, patron saint of the city. You can not miss the Ermita de la Virgen de los Remedios, which rises in the middle of the seventeenth century, and whose interior has a Latin cross with stand-choir on the feet, with the main ship and arm cruise covered with a barrel vault. Check out the murals of Felipe V and Maria Luisa of Savoy, the coats of arms of the city of Velez-Malaga and the Bourbon monarch who are oval medallions in the spandrels paintings. It is also known as the “transparent chapel”, because its walls all over the landscape and urban context of Velez-Malaga is revealed. Also this year Velez-Malaga commemorates the fourth centenary of the death of Cervantes with an extensive program of activities under the Velez-Malaga City Cervantina brand. 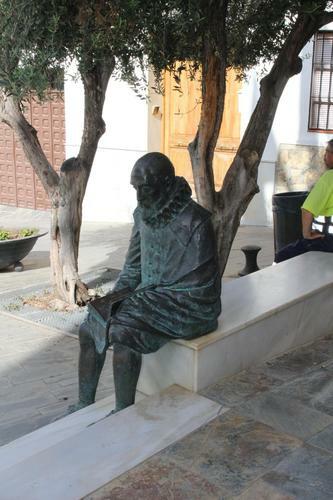 Cervantes himself mentions Velez-Malaga in Don Quixote, since he lived here and have the Cervantes Museum House in Velez-Malaga. María Zambrano is the most important Spanish thinker female figure in the twentieth century, and was born in Velez-Malaga in 1904. For this reason, since 1987, the city has a foundation in his name, María Zambrano Foundation, with the aim of disseminate and preserve the thinking and work of the Veleña thinker. Keep in mind that the foundation became operational with Zambrano still alive, and took care to ease their financial difficulties: she was given a sufficient monthly pension that allowed the philosopher to devote himself entirely to his research and publications. The municipality of Velez-Malaga has a range of accommodation characterized by its quality and versatility. From hotels near the beach to rural cottages, you can find all kinds of accommodation depending on your needs and tastes. It will be easy to find here a place to eat. Velez Malaga has many options as far as restoration is concerned, from beach bars, pizzerias until restaurants à la carte. Velez-Malaga shows its Andalusian character in its many festivals. In dates, they are decorated to show even more joy, or his deep religious feelings, such as the emotional Semana Santa, in March-April.